Meghan Markle will spend Christmas at Sandringham with the Queen and other senior members of the Royal Family, Kensington Palace has confirmed. Ms Markle and Prince Harry, who announced their engagement last month, are expected to attend the traditional Christmas Day church service on the Queen's private estate in Norfolk. The Duke and Duchess of Cambridge will also spend Christmas Day there. 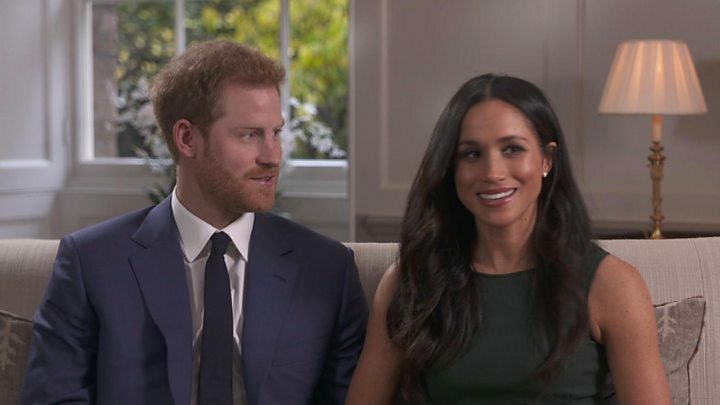 The prince and American Ms Markle are due to marry in May next year. It is tradition for the Royal Family to attend the morning service at St Mary Magdalene Church on 25 December. Typically, hundreds of well-wishers gather along the route to the church to catch a glimpse of the Queen and other royals. Some of the younger members of the family speak to the public and receive bouquets of flowers. Later, they all return to Sandringham House for Christmas lunch, before watching the Queen's Christmas Day address in the afternoon. In step with German tradition, the family exchanges presents on Christmas Eve, rather than Christmas Day.